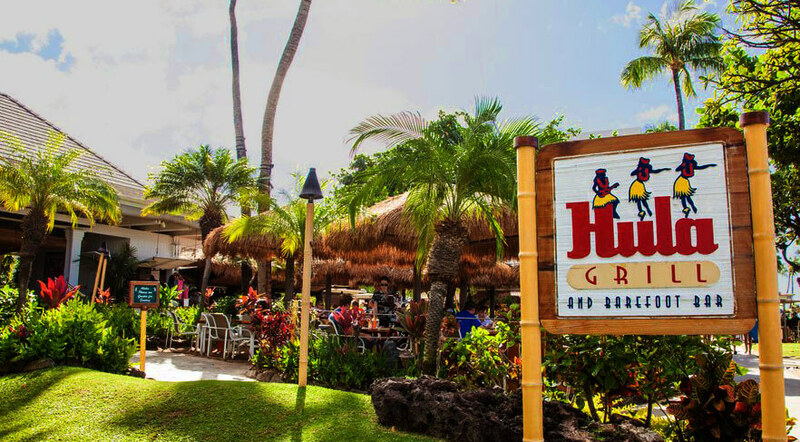 Hula Grill on Kaanapali Beach at Whalers Village celebrates Hawaiian culture and cuisine. 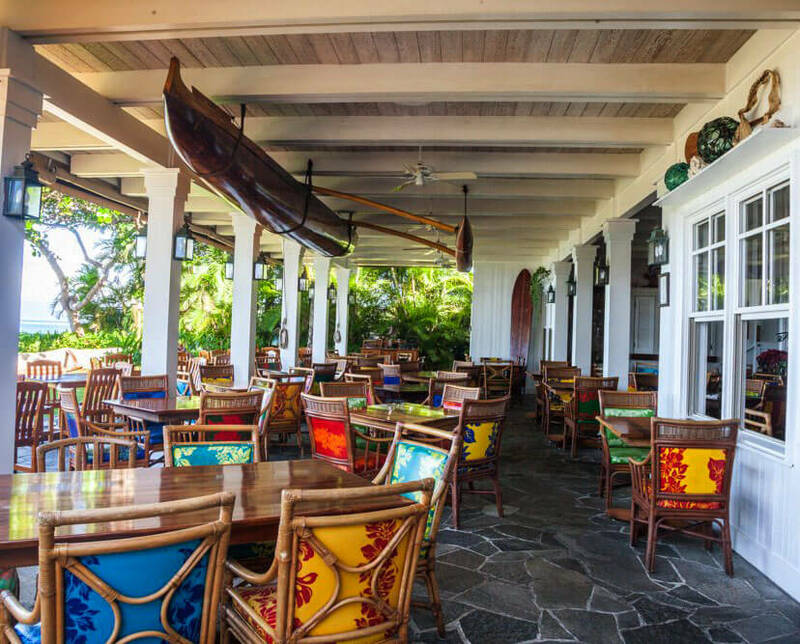 Dine in their open air Dining Room for an exquisite menu inspired by Hawaii regional cuisine or choose the Barefoot Bar for a more casual option. Both areas face the ocean so you can watch dolphins play and humpback whales breaching during whale watching season. Open for lunch and dinner and specializing in fresh fish. Validated self-parking available. 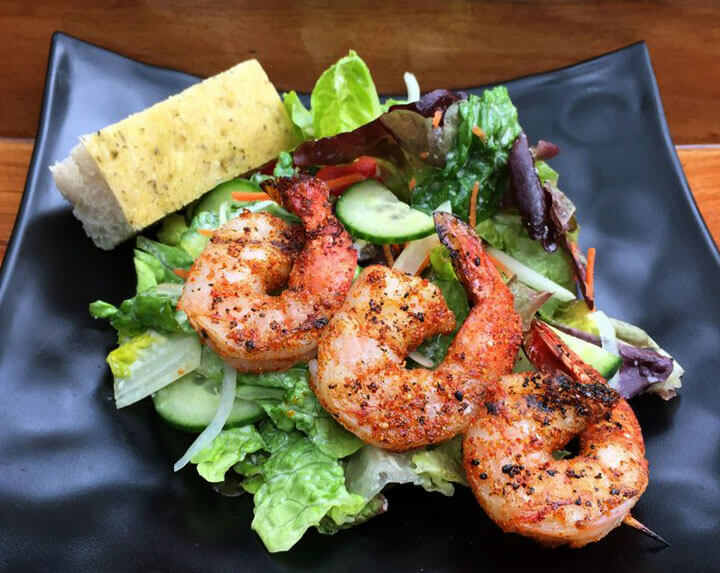 Come and enjoy the beauty of West Maui at Hula Grill Kaanapali. Want to visit their website? Click here. With ocean views from both the Dining Room and the Barefoot Bar, you can relax and enjoy a meal, or a tropical drink and pupus, while being entertained by whales breaching and dolphins frolicking only yards away. The warm ocean breezes flow through the restaurant as you watch the palm trees sway outside. Listen to the ukulele strum while you are entertained by a hula dancer’s graceful moves, every single day at Hula Grill. The atmosphere is so inviting and relaxing, you’ll want to visit again and again. With picture-postcard views and an award-winning menu, lunch or dinner at Hula Grill will be a memorable addition to your vacation plans. 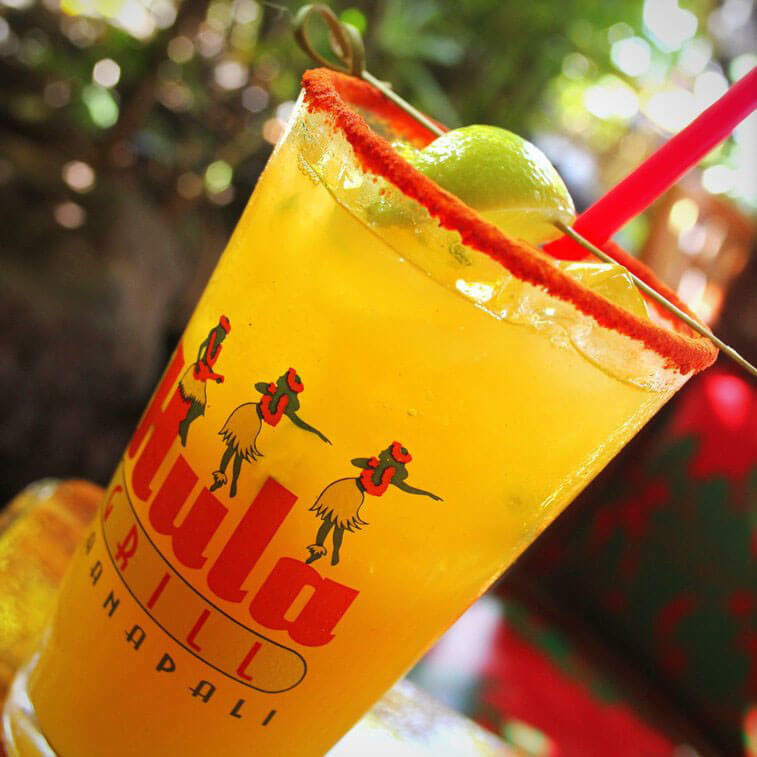 Plan your next special event or get-together at Hula Grill, and your guests will be talking about it for years to come. Hula Grill can work within your budget and create a menu as unique and memorable as you are! And you can choose from either a plated or buffet-style service depending on your preference.